Long Island’s Premier Mercedes-Benz car dealership has offered over 60 years of automotive luxury experience. Rallye Motors is known for state-of-the-art sales and service facilities, the most experienced service & parts team on Long Island, 180 Complimentary Loaner Vehicles, and being 1 of 50 PartsPro Certified Dealers in the U.S.
At Rallye Motors, we sell Mercedes-Benz and Commercial Vans for the Plainview, Syosset, Woodbury, Jericho, Glen Head area. We’re dedicated to finding you the right car, whether that’s a new, pre-owned, or certified pre-owned vehicles at Rallye Motors. At our dealership, you can find fast sports cars, comfortable sedans with the latest luxury technology, spacious crossovers built for large families, and much more! After you’ve found the right car for you, Rallye Motors can get you approved for financing quickly and painlessly. To make the process even quicker, you can apply for financing online, simply go to our website and fill out a short form to apply for a loan. Once you have driven home in your new Mercedes-Benz vehicle, you can rest assured our service facility will take care of any maintenance you may need. You can easily schedule an appointment online by visiting our website. Our parts department inventory can supply you with high-quality OEM parts. We have overnight service hours, too, so you can drop off your vehicle at night and pick it up first thing in the morning. 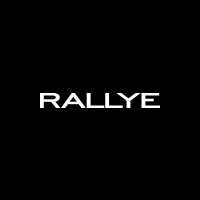 Visit Rallye Motors today to test drive our cars! We are located at 1600 Northern Blvd, Roslyn, NY near Plainview, Syosset, Woodbury, Jericho, and Glen Head. Our experienced staff is ready to help you find your perfect car. Contact us at 516-473-0793 with any questions you may have, or send us a message on our website. Rallye Motors is a no nonsense firm with no haggling. They give there best price up front. The transaction is easy and quick. I would do business again with this car dealership and recommend them to a friend. Thanks! The service was completed in a timely manner and to my satisfaction. Katie Lyons was friendly and professional. All areas we discussed were addressed. The loaner car was excellent. Gene Acker made it possible for me to get the exact vehicle I wanted.He was extremely accomodating from sart to finish.I would highly recommend him. Excellent service all employees were very attentive. Loaner car was made available on very short notice which I was very surprised at. The dealership appears quite improved. Many years ago I stopped by looking to replace my current Mercedes. The salesman never called me called me back. I never went back and purchased the car at another dealership.